Inch tapered roller bearing - Inch tapered roller bearing - Shandong Yongxiang Special Bearing Co. Ltd. 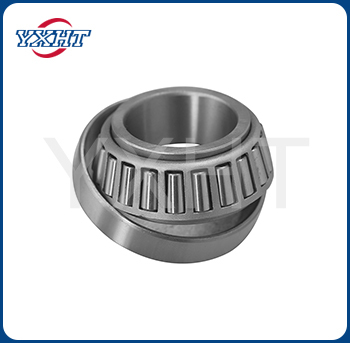 The tapered roller bearing belongs to the separation type bearing, and the inner and the outer ring of the bearing are tapered. This type of bearing according to the number of columns loaded roller is divided into single row, double row and four row tapered roller bearings and other different structure type. Single row tapered roller bearings can bear radial load and axial load in one direction. When the bearings under radial load, will produce a axial force, so when you need another can bearings subjected to the opposite direction of the axial force to be balanced. Tapered roller bearing type code is 30000, tapered roller bearings for the separation of bearings. Under normal circumstances, especially is 100% interchangeable use between involved in GB/T307.1-94 "rolling bearings - radial bearing tolerance" in the size range of tapered roller bearing outer ring and inner components. Tapered roller bearings are mainly subjected to radial and axial load. 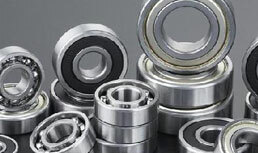 Bearing capacity depends on the outer ring of the roller angle, the greater the bearing capacity of the angle of view. This type of bearing is divided into two types, according to the number of columns in the bearing, the number of columns is divided into single row, double row and four row tapered roller bearings. Single row tapered roller bearing clearance to be adjusted during installation the user; double row and four row tapered roller bearing clearance have been in the factory according to user requirements given, do not need to adjust the user.